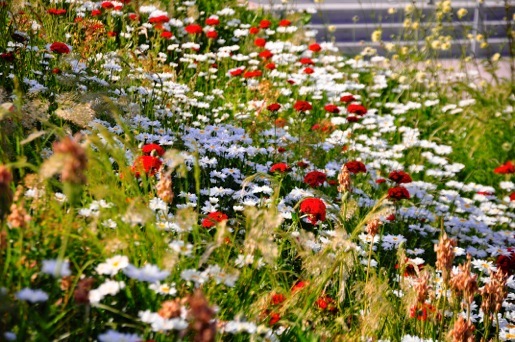 The planting in Love Square will be very special. 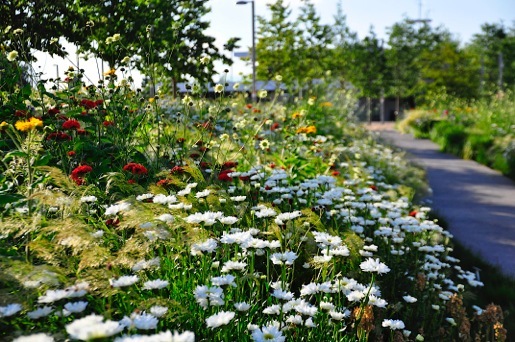 The Department of Landscape, through Professors Nigel Dunnett and James Hitchmough, at the University of Sheffield has pioneered sustainable approaches to garden and landscape planting which are visually very beautiful and dramatic throughout the year, and which are also very good for wildlife. 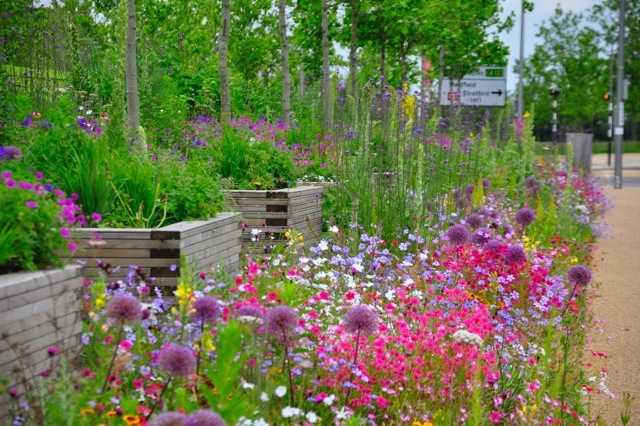 The plantings are hugely popular wherever they are applied. First and foremost they design to create a visually spectacular impression of colour and movement: one that is emotionally joyful and uplifting. It’s a little like painting the landscape with vibrant colours. 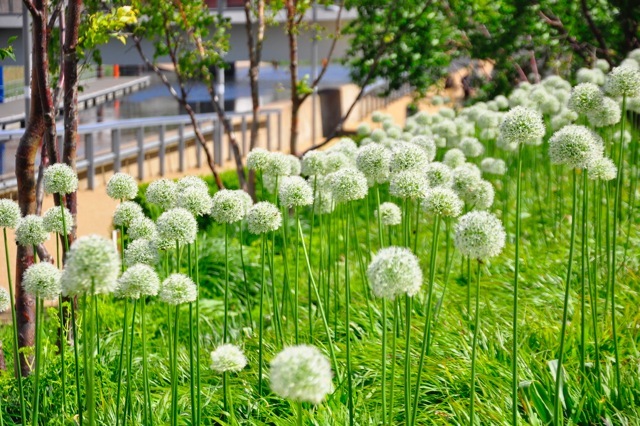 And it’s not just about flowers – the form and structure of the plants, the way they interact, and their winter seed heads and colours are just as important. But it’s not just about that. 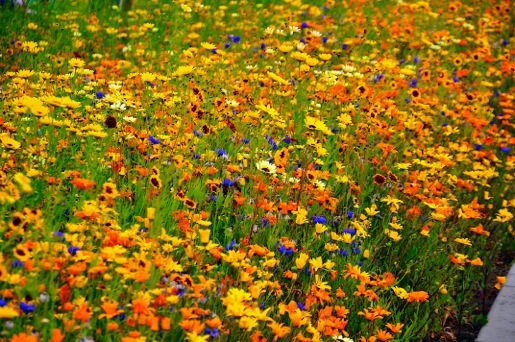 It’s about supporting our pollinating insects and other invertebrates, birds and wildlife. 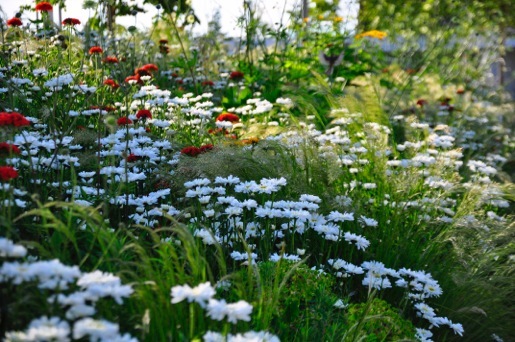 Crucially, their plantings are simple to maintain and do not need much in the way of watering or fertilisers and other inputs. 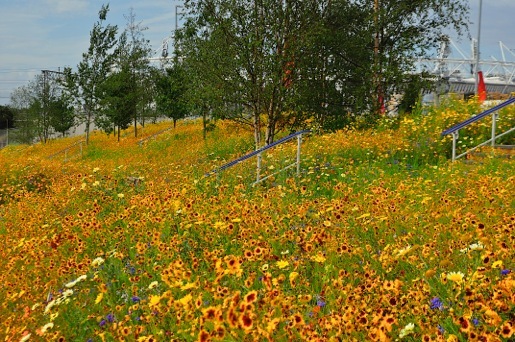 Their work has been applied all over the UK and in other countries, in parks, public spaces and private gardens. 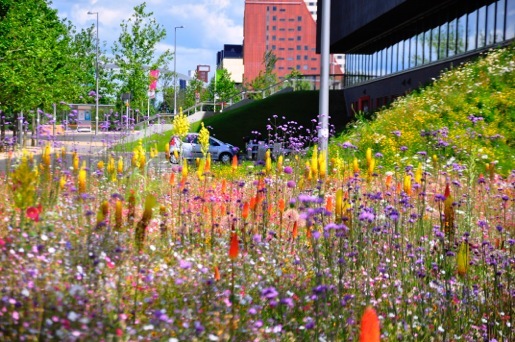 It’s come to be known as ‘the Sheffield School of Planting Design’. 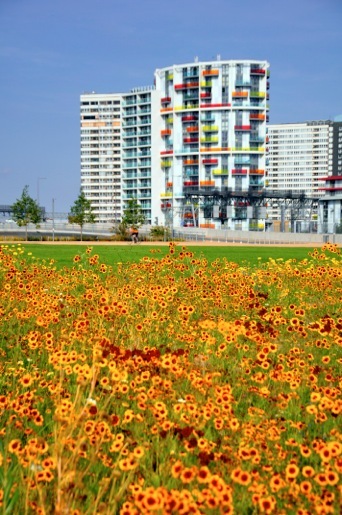 Most famously they were responsible for the gardens and landscapes of the London Olympic Park (now the Queen Elizabeth Olympic Park), Stratford, London. 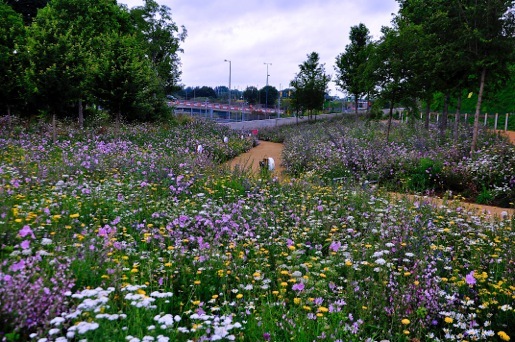 This is the UK’s newest and largest significant urban park. 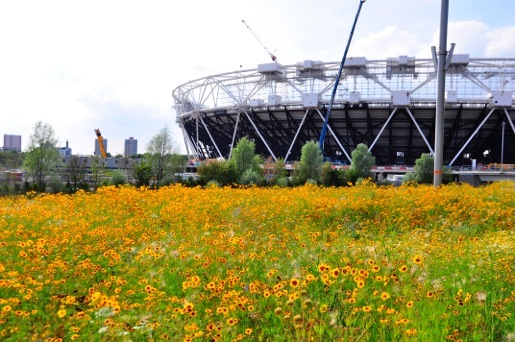 In 2012 the eyes of the world were on the games and now the park is open to the public 24 hours a day. 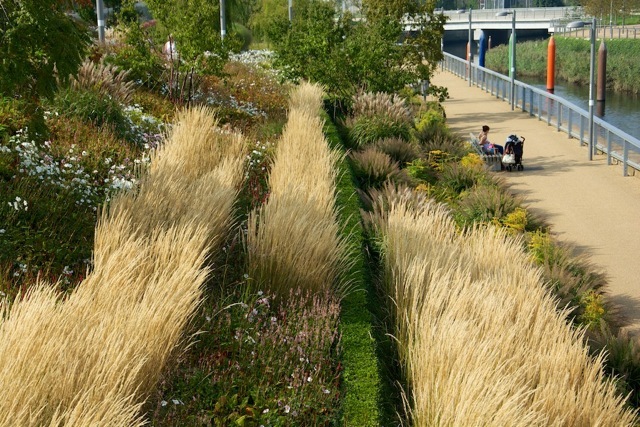 Nigel and James work with many different types of planting: from beautiful meadows of many different types; with more formal and structured herbaceous perennial plantings, with trees and shrubs and woodland planting, and with wetlands and water planting. 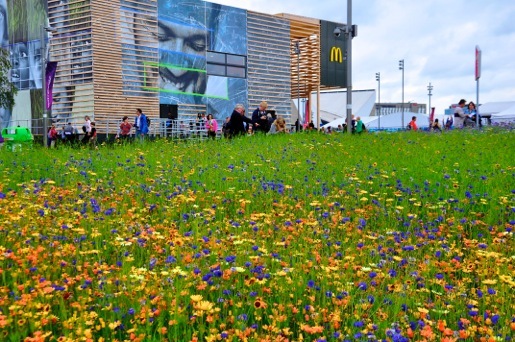 Love Square will the first UK city public garden to feature fully their planting design approach. 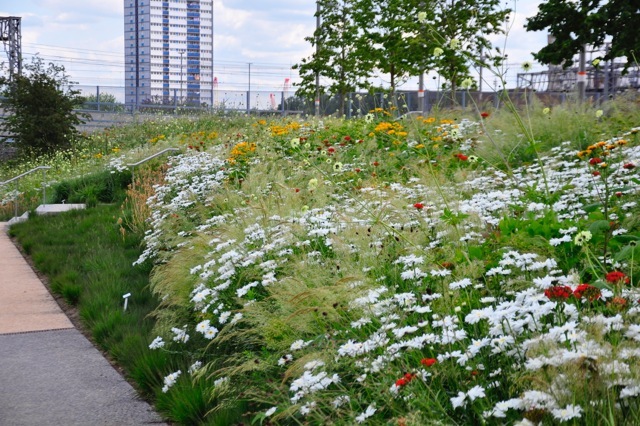 Urban horticulture desperately needs to move on from the standard type of city planting. 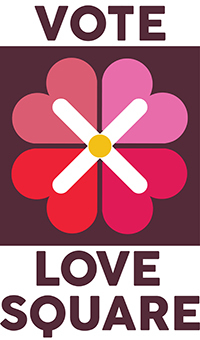 Love Square will show the way forward for towns and cities across the UK. 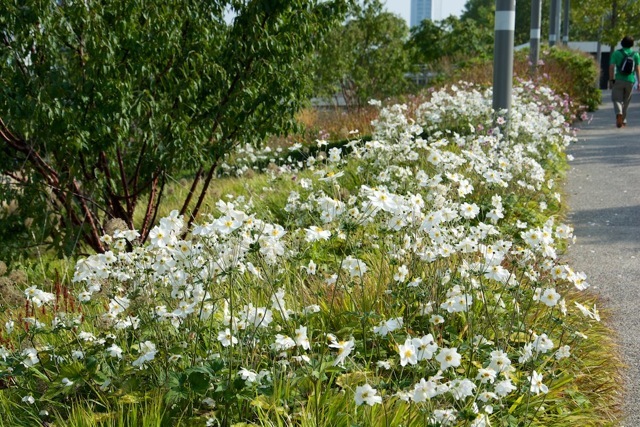 Nigel and James work with UK native wildflowers, and familiar and new garden plants – often mixing the two together. 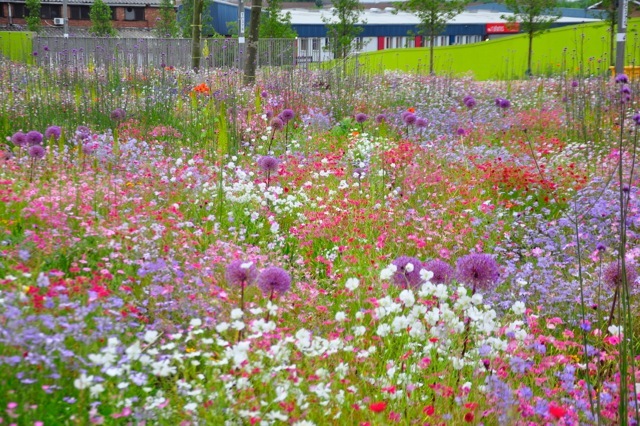 In Love Square they will be mostly be working with UK native wildflowers throughout. 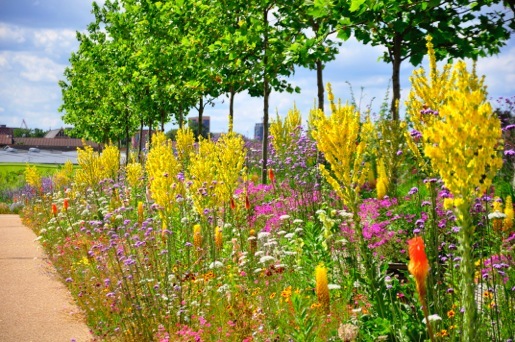 Love Square will show to designers, planners, and gardeners, a completely new and fresh approach to working with our native wildflowers and native plants. 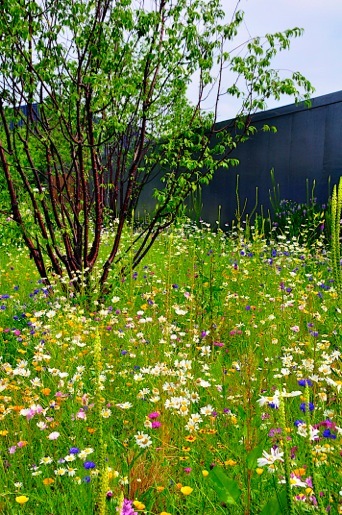 How can we be as creative as is possible with our native wildflowers, and use them in fresh and innovative ways?